The design of the airless pump system ensures that the size and speed of each drop are always the same regardless of the pressure applied to the base of the bottle. 300 sterile doses – one drop at a time! Remove the over-cap and turn the bottle over so the dropper tip points down. Prime the system before first use: Place two fingers on the base and your thumb on the shoulder of the bottle. Press firmly on the base and release. Repeat this several times until the first drop is released. Now the bottle is primed and ready for use. Application: For better control and accuracy, make a base with one hand to support the hand holding the bottle. Lean your head back slightly and gently pull down your lower eyelid. Press FIRMLY and QUICKLY on the base of the bottle. 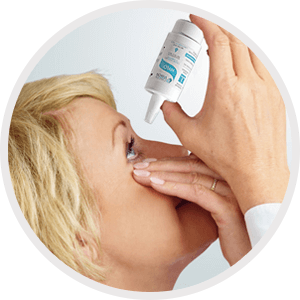 This enables the bottle to release one single drop into the eye. Release and repeat for the other eye. After each application close your eye slowly to allow the fluid to spread evenly over the eye surface. Ensure that the dropper tip is dry. Avoid any contact between the tip of the bottle and your eye or your skin. How often and for how long can you use HYLO®? 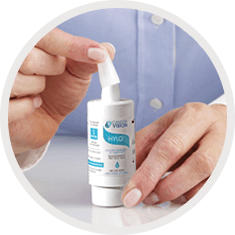 HYLO® should be used according to the instructions given by your doctor, ophthalmologist, optometrist, optician or contact lens specialist. 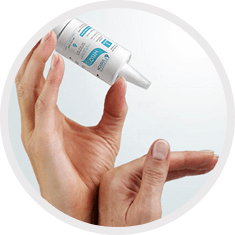 Normally you instill one drop three times a day into each eye. If necessary it can also be used more frequently. If you use HYLO® more frequently (e.g. more than 10 times per day), please consult your ophthalmologist or optometrist. HYLO® is suitable for long-term treatment. As with all health concerns you should consult your doctor when your symptoms persist. What else do you need to know, when using HYLO®? If you use any other eye drop medication or eye-ointment, please allow at least 30 minutes between applications. 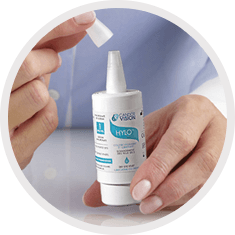 If you use other eye drop medications, apply them before applying HYLO®. 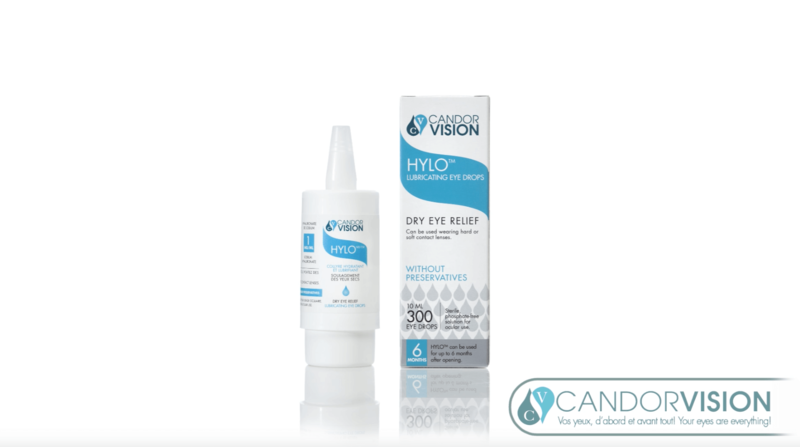 If you use other eye ointments, administer those after applying HYLO®. 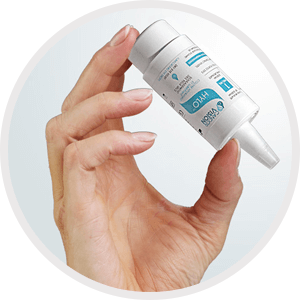 As with all eye drops a temporary blurring of vision directly after application may occur, which may affect the ability to drive and use machines. Therefore, patients are advised to wait for a moment until vision is no longer impaired before driving or using machines. For more information please read the package insert! As with all health concerns you should consult your doctor when your symptoms persist.